I love hotels that evoke a genuine sense of place. 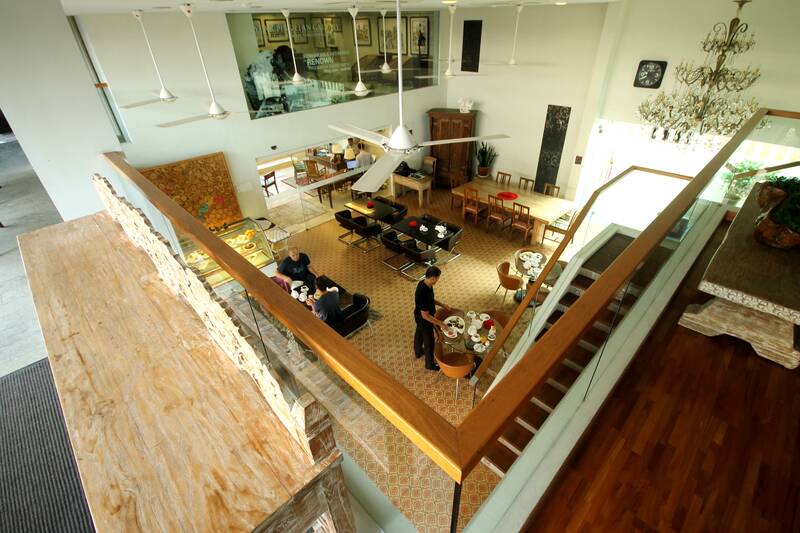 After a few days in Singapore, I crossed the border to Malaysia to visit one of my favorite heritage cities, Melaka, to check in at The Settlement Hotel, a new boutique stay housed in a repurposed white-painted commercial building – a blank canvas for the owner’s private collection of Malaysian artworks and antiques. Like Hotel Indigo Singapore Katong, this marries the classic and contemporary, exuding the eclectic charm of the UNESCO World Heritage City. This refined retreat may be located outside Melaka’s city center, but offers a tranquil place to rest after touring the city’s attractions, offering complimentary shuttle transfers that can drop you off, or fetch you either at the historic core or a shopping mall in a matter of minutes! On the other hand, The Settlement Hotel is just a 10-minute walk from the namesake Portuguese Settlement (750 meters away), a historic village known for its Portuguese-Eurasian (Kristang) heritage and seafood restaurants. 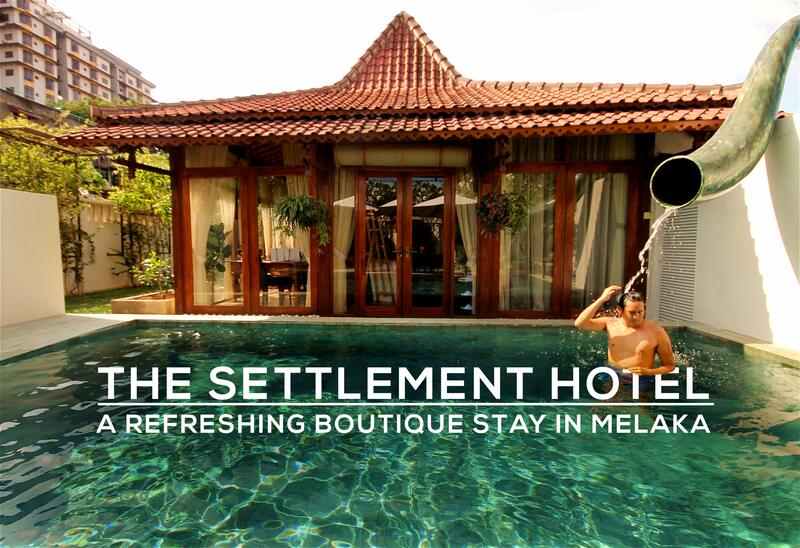 The Settlement Hotel is a refined retreat at the historic city of Melaka, Malaysia. The Settlement Hotel boasts a 45-room residential block and four private villas. Near the villas, there’s an outdoor plunge pool at the back courtyard, fronting the terracotta-roofed spa and library. While it’s too small for laps, it was the perfect spot to take a dip and cool off after our walking tour and sightseeing trip with Melaka River Cruise under the heat of the sun. There’s a lot of lounge space overlooking the dining area and on the rooftop garden overlooking the neighborhood. If you love the hotel’s decor, you can purchase some at the showroom in the main building, or peruse an art gallery featuring local artists. Their nasi lemak was a work of art! The modern building is accented by the owner’s collection of artworks and antiques. All rooms come with breakfast for two, which is ordered in advance and served at the dining hall near the reception area. There’s a choice of Malay and Continental breakfast. 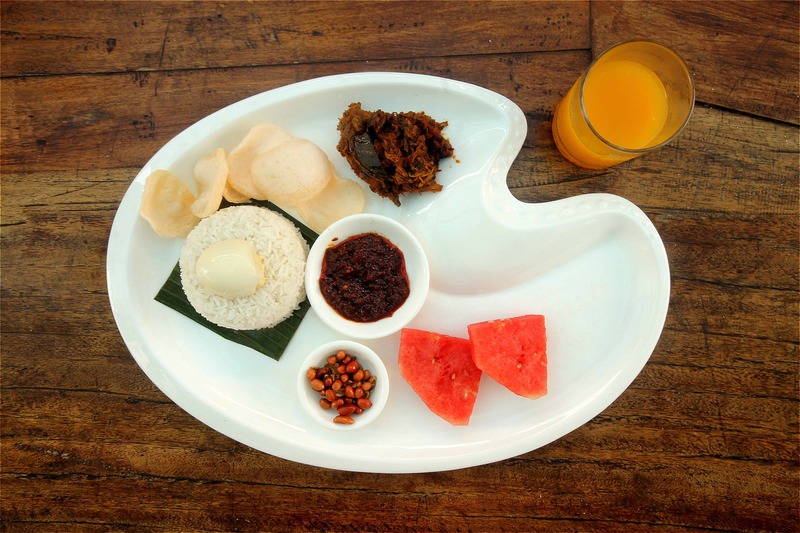 Of course, I always went local and ordered nasi lemak, served on ceramic plate shaped like an artist’s palette! The hotel restaurant also serves lunch and dinner, specializing in Baba-Nyonya (aka Peranakan or Straits Chinese) dishes such as assam pedas (sour and spicy stew) and ayam pongteh (braised chicken with potatoes). Fancy something different? The in-house chef can always whip up something made especially for you! 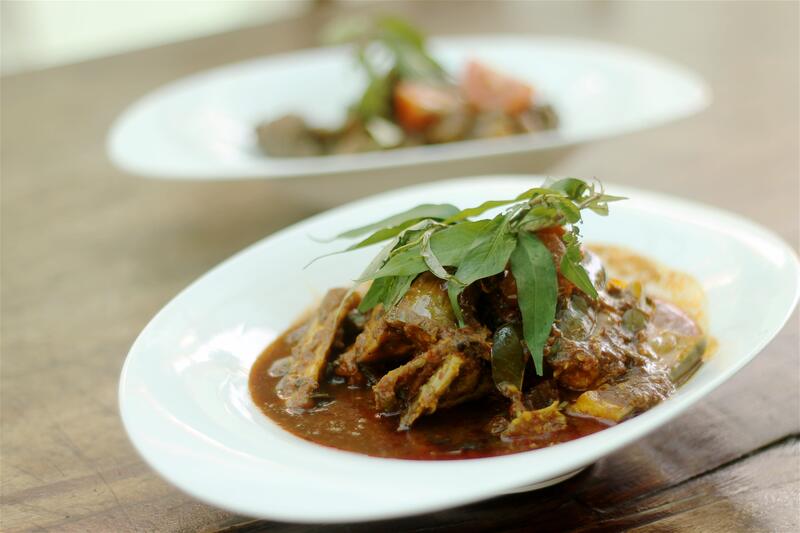 Don’t miss out on Nyonya dishes like assam pedas and ayam pongteh. 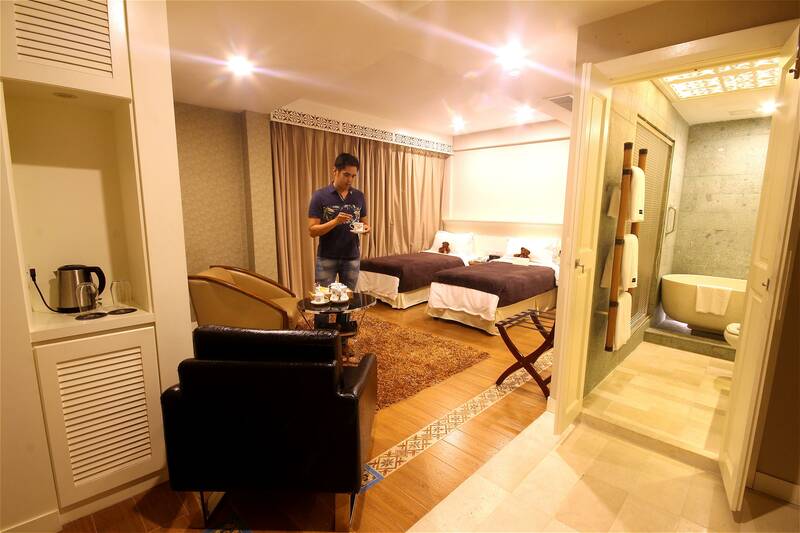 Accommodation at The Settlement Hotel starts at MYR 250 (PHP 2,811) for a Deluxe Queen Room. Find discounted room rates here! Located seven kilometers away from the Melaka Sentral, can be conveniently reached by taxi or ride-share (eg. Uber or Grab) in 20 minutes from the bus terminal. Alternatively, one can take the public bus to the city center and arrange shuttle pick-up with the hotel beforehand.